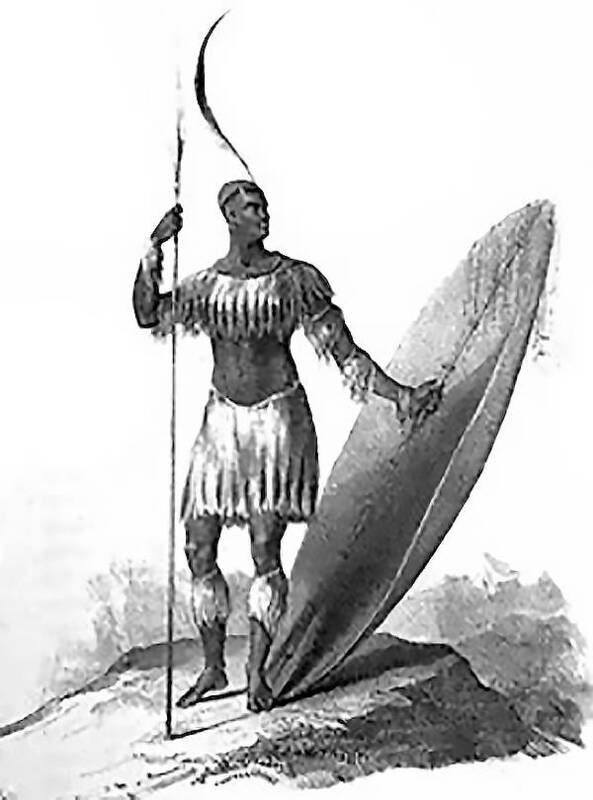 A rendering of Shaka, founder of the Zulu empire. 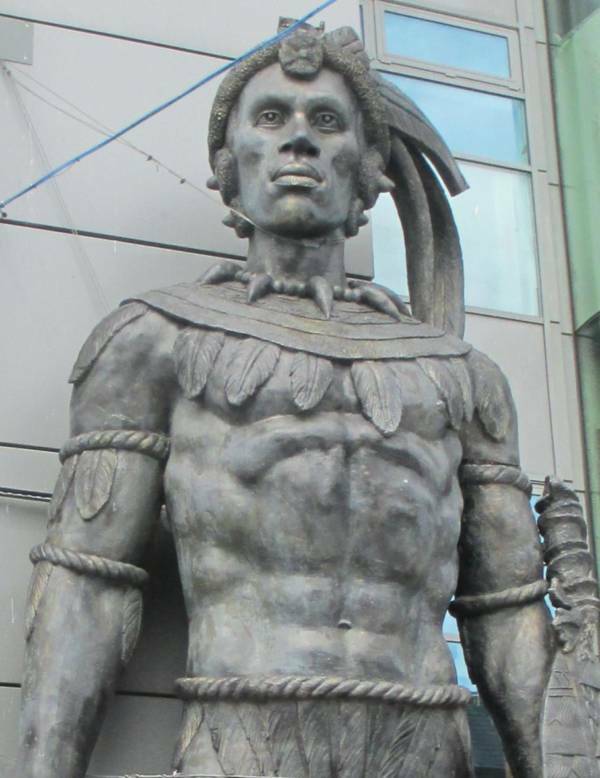 Large statue of Shaka at Camden Market in London, England. 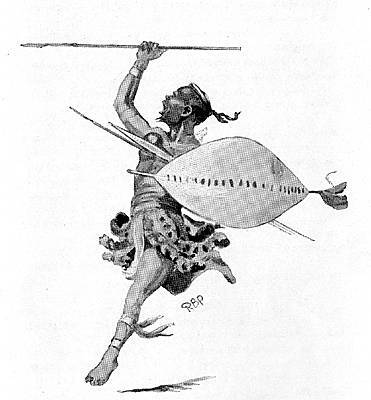 Depiction of a Zulu warrior under Shaka’s command.